Play and challenge your cats & dogs. 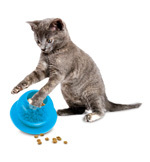 Funkitty® dry food and treat dispensing toys are designed to keep cats of all ages engaged, active and stimulated. 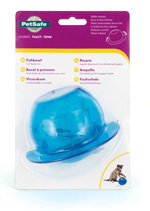 They are adjustable and adaptable to individual cats enabling you to increase the challenge over time. Turn mealtime into playtime! 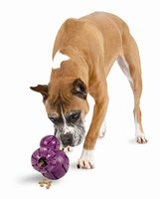 Dogs will have hours of pleasure with Premier® Play & Challenge Toys by PetSafe®. But that’s not all. They will also benefit in different ways when they play with this range of toys, whether it’s improving their health or keeping them alert and active. They’ll even be rewarded with tasty treats dispensed as they play. 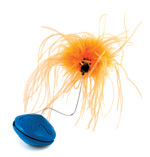 POUNCE is an automatic, rotating, hide-and-seek cat toy. Marshal Maus™ is an electronic mouse who zips around the circular path, zooming forward, reversing direction, hiding under obstacles, and occasionally twitching back and forth. 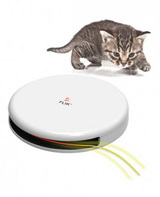 The unpredictable movement stimulates your cat’s natural instinct to hunt, chase, and pounce on prey. 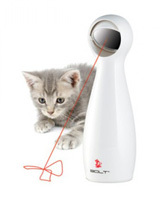 The FunkittyTM Twist ‘n TreatTM was created to keep cats of all ages engaged, active and stimulated. 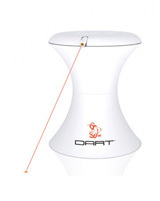 Designed to randomly dispense dry food or treats, it easily adjusts to your cat’s level of play. 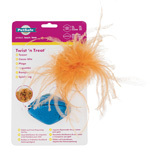 Simply fill with dry food, treats or catnip for an irresistibly good time! 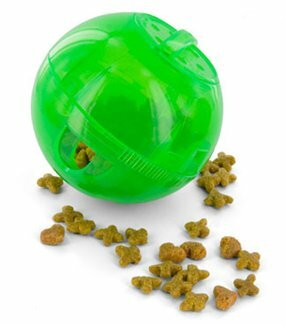 The Funkitty Egg-Cersizer is a treat/feeding ball that's designed to randomly dispense treats & kibble. The Egg-Cersizer is uniquely adjustable to your cat's level of play. Open 1, 2, or 3 holes to customize to your cat's needs. 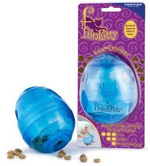 Unlike other feeder balls on the market, the Egg-Cersizer can be adjusted on the outside of the toy. Also features the Treat Meter™ which allows for treat distribution from all angles. The Squirrel Dude features the Treat Meter™ which randomly dispenses dry food and treats as the puppy plays. 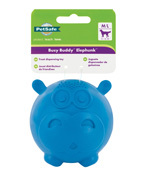 Coupled with its fun & funky bounce, this toy provides puppies with hours of play. The Squirrel Dude’s extreme durability holds up well under the toughest chewers and its unpredictable bounce will have pets playing for hours. The opening at the bottom of the Squirrel Dude has inner-facing, soft, adjustable rubber prongs that move aside to allow the toy to be stuffed with kibble or treats. 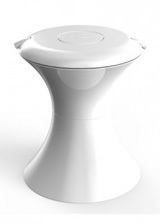 The prongs of the Treat Meter™ randomly dispense kibble and treats as your dog plays. Made of natural rubber. 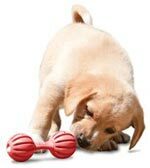 - Recommended for strong chewers. • Breed Recommendations: Miniatures, Terriers, etc. • Breed Recommendations: Beagles, Shelties, Spaniels, etc. • Breed Recommendations: Labs, Goldens, Rotties, etc. 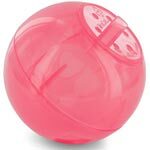 The Twist ‘n Treat is the first and only 2-piece adjustable rubber treat dispensing toy. The rate of treat dispersal can be adjusted to suit the interest and ability of the dog. When first introducing the toy to your dog, we suggest leaving enough space in the opening to allow treats to fall our regularly, so your dog can "win the game." Once your dog plays successfully with the Twist 'n Treat, you can screw the opening tighter to extend the length of play. 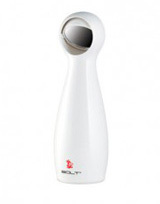 The adjustable opening allows the Twist 'n Treat to be filled with a variety of hard, soft, and smear-able treats. Made of natural rubber. - NOT recommended for strong chewers. • Breeds: Spaniels, Shelties, Labs, Rotties, etc. 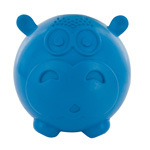 The Chuckle is a funky noise-maker that's sure to perk up playtime! 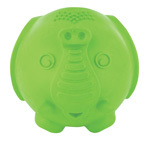 Either end of the Chuckle has inner-facing, soft, adjustable rubber prongs that move aside to allow the toy to be stuffed with kibble or treats. 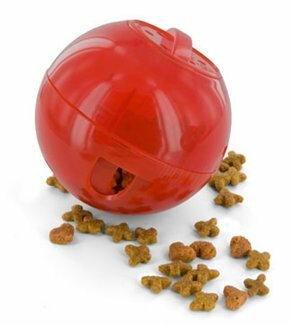 The prongs of the Treat Meter™ allow food and treats to randomly dispense, rewarding your dog as he plays. Made of natural rubber. - Recommended for strong chewers. Available in 1 size only. • Breed Recommendations: Spaniels, Shelties, Labs, Rotties, etc. The first and original style Pogo Plush™ toy has become an instant classic. Dogs love the traditional faux sheepskin covering, and the unique bounce-back design is preferred over traditional stuffed plush toys. These machine washable toys are stuffing free, so there’s no mess if your dog likes to destroy plush toys! They are built with inner bouncy frames and free-floating squeakers that will give your dog hours of fun. • No stuffing = No mess! The Kibble Nibble™ appeals to a dog’s natural instincts by enticing him to actively engage in mealtimes. 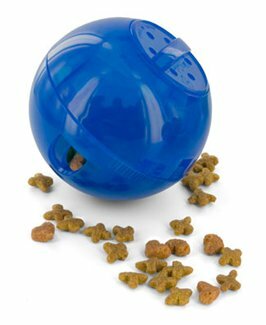 Two Treat Meters™ randomly dispense dry food and treats as the ball tumbles around. 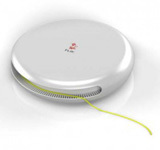 Features rubber bumpers to minimize noise and marks on walls and floors. Each toy is appropriately sized to hold a dog’s entire meal. Unscrews for easy loading and quick clean-up. 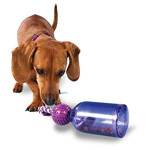 The Tug-a-Jug™ provides a multi-sensory appeal to keep your dog engaged and motivated to play. 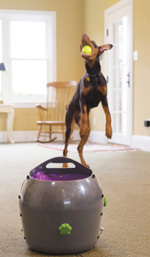 Its unique design allows dogs to see, smell and hear the treats as they roll around in the jug. The Tug-a-Jug not only dispenses treats, it can also be used for obedience training and feeding meals. Treats and dry food dispense as the toy is tipped, tugged and rolled. The multi-chambered Barnacle™ features three patented Treat Meters® to randomly dispense treats while your dog plays. You can trim the Treat Meter® prongs with scissors to increase the rate at which treats come out. The bone-shaped grooves can be smeared with treats like cheese or peanut butter for even more playtime options. Enjoy a new twist on a classic toy! 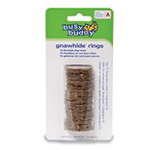 The durable nylon and rubber Jack holds Busy Buddy® natural rawhide treat ring refills for longer lasting playtime. Watch your dog chew, bite, and twist the Jack to figure out how to get the delicious treats in the middle. Treat rings can be placed in multiple locations to increase the challenge over time. 1. Unscrew the toy and slip off all pieces except for the last green rubber nub ring. 2. Slide a treat ring onto either side of the purple center knobs. 3. Slide on the other green rubber nub ring. 4. Screw the white nylon tip back on to the toy. 1. Unscrew the toy and slip off all pieces. 3. Slide on another treat ring. To add treats, unscrew the Nobbly Nubbly™ and remove the purple center section. Slide a ring on both ends of the purple center section. Screw the Nobbly Nubbly™ back together and let the fun begin! For more variety, fill the grooves on the center section with your dog’s favourite spreadable treat. Available in XS, S, and M.
These natural rawhide treats are available in Small, Medium and Large sizes. 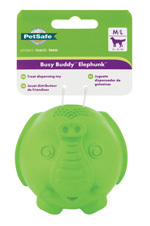 • Size “A” fits select XS and S Busy Buddy® toys. 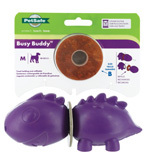 • Size “B” fits select S and M Busy Buddy® toys.